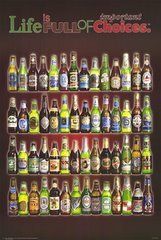 With submission, sir, ... yesterday I was thinking about Bartleby here, and I think that if he would but prefer to take a quart of good ale every day, it would do much towards mending him, and enabling him to assist in examining his papers. Pivo Blog Revival - Xanadu Bound! Where else a better place to revive this pivo blog than the Chengis Khan Land! 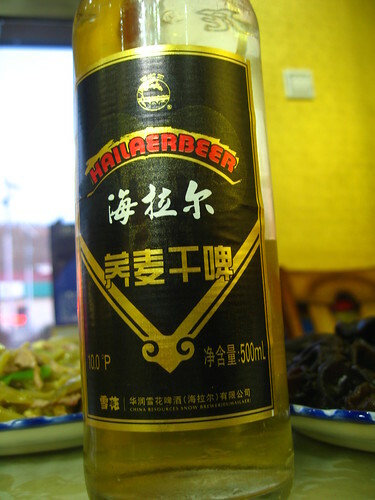 Yes yes, I know the Mongolians are better known for their talent and capability in making and drinking liquors. 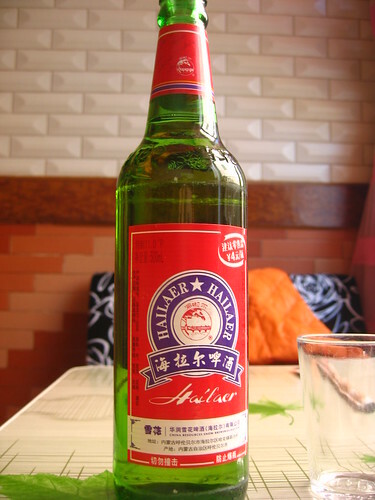 I went to Inner Mongolia specifically aiming to sample their baijiu and the infamous Changis Khan vodka from Mongolia. But hey! What do you say when you walk into the first restaurant you see, asking for half a kilo of lamb shack for yourself and the best drink to go with and the kind Mongolian owner offered the local beer brewed from the freshest spring water and local wild hop from the Da Hinggan forest? Fate! The rest of the trip just happened for itself. 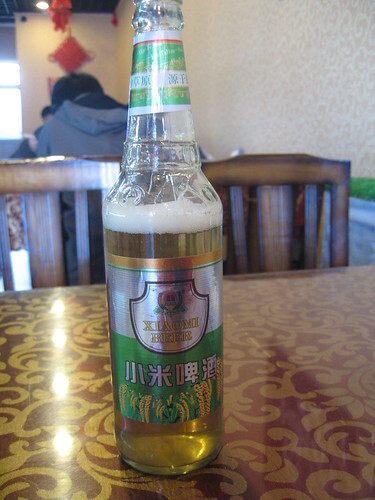 Millet beer, buckwheat beer, beer from local spring water, from volcano hot spring mineral water... You name it. Who would've thought Inner Mongolia has so much to offer to the pivo world! Hang on, hang on, Jenny, you know we have a no-alhocol-no-kofola-no photo rule on this blog, right? That's a frikking rice sack! 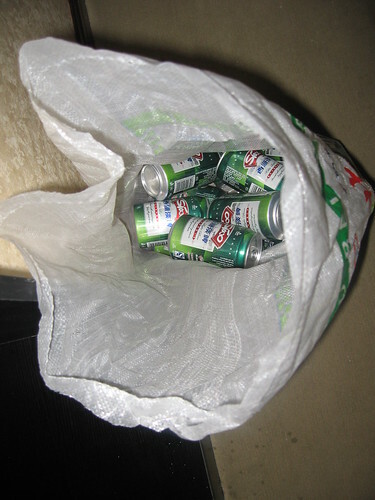 Yes baby, the grocery store didn't have anything big enough except for a 50kg rice sack (which can be used to bag cement lime as well, by the way) to bag those beers. PS. 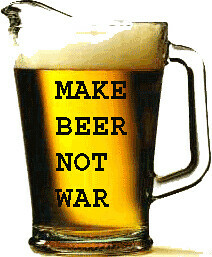 Those are West Lake Beer - world_pivo strikes again! 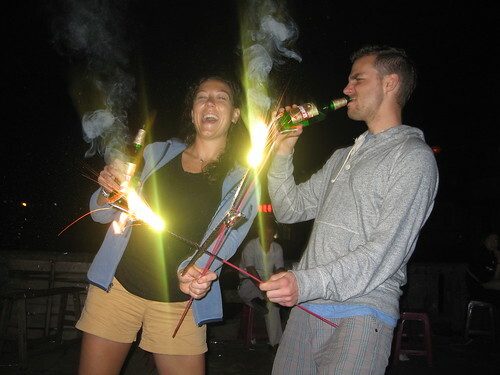 Will & Lindsey sparkling!, a photo by jennyhu on Flickr. So Will and his friend Lindsey come to China, right? 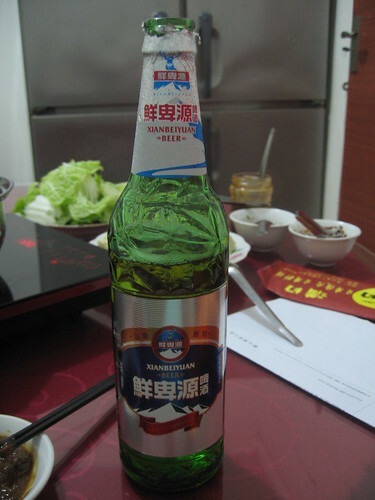 The first thing they saw and drank when landed in the airport was a can of Tsingtao beer that greeted them at the gate. Everyone reckon this was a good start, eh? It gets better. 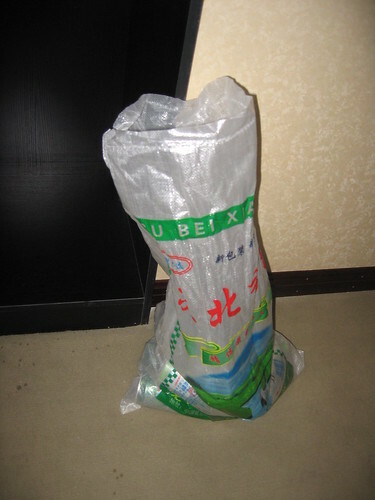 Day 1, without even a glance of Shanghai, they are shipped to the coastal city of Xiamen. And again, without even a peek of the beach or sea, they are tossed into a rental car and driven to a rural village of Hakka people. By this time they have been traveling on the road for like 36 hours with only a short interval of a 5 hour nap in a hotel room. So we get to this town and what do we see? Cold beer and sparklers. What better can we do! 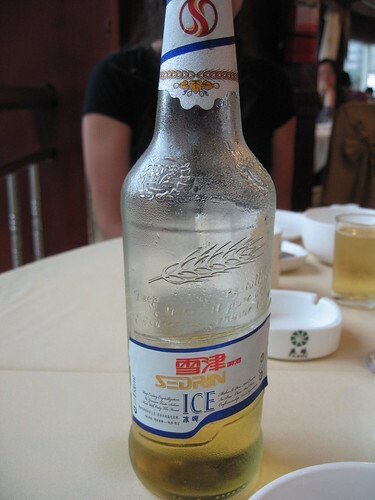 Xiamen Local Beer, a photo by jennyhu on Flickr. 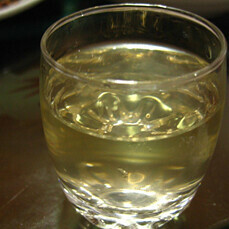 Homemade Hakka Rice Wine. BEST. RICE. WINE. EVER. dinner in a #tulou - homemade rice wine. Best I've had EVER!, a photo by jennyhu on Flickr. The four of us finished a litre over dinner that night between beers. It made the night drive to the tulou viewing points more fun! 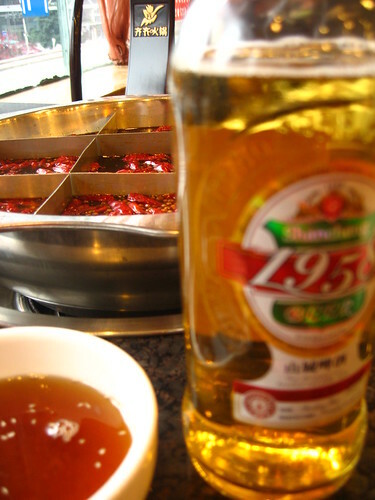 It's been a while since I last went on a solo trip, so I thought I could use the past long weekend holiday to have a date with spicy hotpot and cold beer in spring time. So, Chongqing it is! 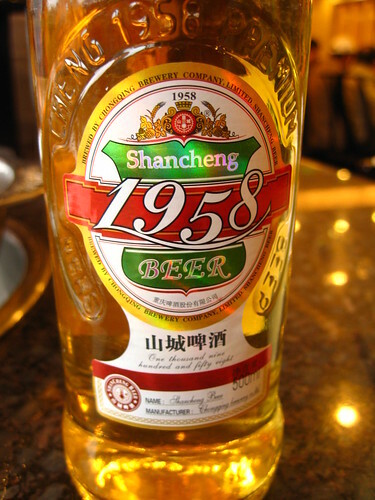 Shancheng beer is the local brew. Shancheng literially means "city of mountain" in Chinese, or "city in mountains", or "mountains in city"... whichever way you like to call it, it will never fail to help picture the city layout for you. It's literally a city built on hills and mountains along the Yangtze and Jialing Rivers. Amazing view and amazing heartbeat when you are in a local taxi/bus racing up and down winding through the city streets on hills and tunnels with the gorges and rivers just underneath. I don't even know how the city's cartographers make their living in a 2-D map world because the city is practically vertical! Anyway, back to the business. A photo for your edification on how the locals spend their day - hotpot and cold beer withe a window view of the Yangtze river. I'm not sure if I'm the only one who spotted this and felt this a crushing affect to our normal life, but I think this deserves some quick actions and petitions!